KSC Anti-slip Safety Floor Signs can't be missed! These large, highly visible adhesive backed floor decals are laminated on a thick textured vinyl for slip resistance and added durability. 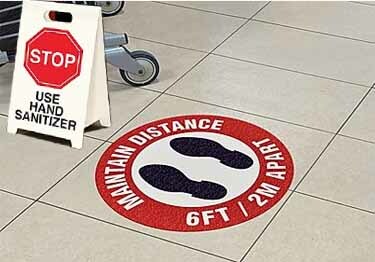 The sign image is printed sub-surface to ensure better performance against heavy foot traffic.